There is a tendency to think of leadership as an independent, public and sometimes heroic manifestation of traits like charisma or decisiveness. A more honest picture reflecting leadership in a non-crisis situation is more sublime. Within government, civilian leader-managers must bridge their actions with knowledge of what employees want, engage with each member of the staff to accomplish the next step, and maintain a clear view of what staff work is needed to finish the job in a turbulent and complex environment. Today’s conditions for organizational accomplishment in government have changed, with an emphasis on knowledge, productivity and process. The leader-manager’s behavior and interaction with the staff are critical elements for ensuring that focus is maintained. Since all leaders are closely observed by staff, the leader-manager needs basic knowledge of theories about productively managing a group’s work, motivating and supporting each individual doing that work, and more than a casual awareness of the interpersonal processes that make that happen. Individual differences can account for different reactions to new initiatives, but that is no reason for today’s leader to ignore theories about behavior or to neglect paying individual attention to every employee who, in the final analysis, contributes or doesn’t contribute to the goals of the organization. What the leader brings to the table is a view toward the future. For the governmental organization to sustain itself, and to continue to function, the leader-manager must have a vision of the future. This vision includes an awareness of differences while consolidating different inputs from the staff. Compare this process to a well-functioning automobile, in which each part, though different from the others, makes an important contribution in getting to the destination. Those functions consist of informing the driver, attaining good mileage, keeping the tires inflated, staying in motion and stopping when required. To continue the analogy, outputs from the office might be enhanced by a GPS-like vision that informs the leader of what the future might look like and what steps or interventions, he or she might take when making demands on the staff. In turn, the vision is refreshed by suggestions from upper management about the best and most likely ways to proceed. By being aware, the leader recognizes the importance of the leadership role and the fact that this role is critical, since the leader is also looked upon for guidance and direction by the staff. In a policymaking setting, managing by leading requires a broad, inclusive view of where the policy fits into overall goals of the organization, as well as a sense of how to consolidate different behaviors to get required outcomes. This sense can only be supplied by the leader-manager, through his or her continuous efforts to obtain optimal performance from each employee. In other words, leaders in public organizations are in a dynamic, often very visible position. They therefore must make connections between their knowledge of behavior and their knowledge of differences among the staff. These two elements are major links in accomplishing the work. Having (or developing) effective skills in human relations, in observing individual interaction and integrating differences among staff requires a working knowledge of theory and practice to provide consistent advice and support to each employee and to integrate different staff behaviors that are most likely to assure successful outcomes. This requires a particular, hands-on, on-your-feet type of leadership, tempered with awareness. The leader-manager must act with confidence when interacting with the staff and readily respond to their challenges with trust and collaboration. When that happens, the leader will often gain support from the staff that adds to and facilitates accomplishment of the work. By empowering staff in this way, the leader helps them proceed down a path that develops their own ability to communicate successfully with higher authority, improves collaboration with other offices for future endeavors and recognizes the role that cooperation plays in accomplishing work. 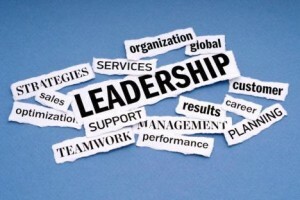 This bridging effort must become a top priority for the leader-manager. Enabling employees is the functional skeleton by which the leader accomplishes essential bureaucratic and programmatic functions in the workplace. Today’s conditions for governmental accomplishment are changing, with growing emphasis on productivity, innovation and competence in a diminished-resources setting and for demonstrated leadership in getting high performance out of the staff. This knowledge-based reality demands managerial performance that will create the right conditions, provide transparency of information to those in/outside the office and earn sustained trust. The leader-manager who continues to rely on outdated models of power and influence risks losing credibility in today’s larger public framework for policymaking and daily operations. Accomplishing goals and ensuring successful implementation is the new mantra. Developing innovative means of accomplishment through a limited staff that possesses necessary knowledge is the balancing act required. Leading has become more demanding in that sense, and managing is more inclusive. Dr. Ken Malmberg is a program manager with the Department of Homeland Security. When I worked at State government there were few moments when we were not in crises conditions. Of course this depends on how crises is defined. Our beleaguered department was slammed by budget cuts, by public outrages at failing programs, by poor policy and procedures that left us vulnerable to collapse. The crises that eclipsed the external threats was our internal dysfunction. An employee committed suicide, another one contracted with us did as well. Both deaths were connected to the level of bullying, misogyny, and cutthroat grandstanding jockeying for positions of power in our organization. Those who obtained power abused it lording over others in senseless decisions that only served to bolster their egos and further nepotism. Productivity, of course, cannot thrive in interpersonal chaos. What we needed from leadership was courage. Courage to admit they were destroying their work place from incompetence. Courage to ask for help and respond to to. Our consultants made recommendations but leadership did not have the courage to listen. We needed courage to come to work each day, leaders that could inspire that courage by modeling it were non-existent. Courage is a trait I’d look for in a leader in the future. Courage combined with integrity are invaluable in leadership characteristics either in crises or not. In fact, those traits may prevent internal crises.